Destiny 2 Forsaken Legendary and Exotic Weapons Guide will help you with all of the Legendary/Exotic Weapons added with the Forsaken expansion that brings new weapons with improved perks. 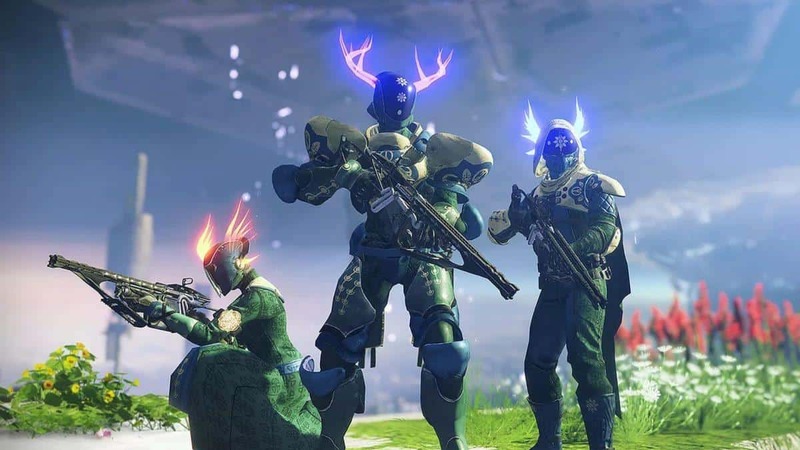 Being a game centered around loot, Destiny 2 features a number of weapons including Legendary and Exotic which could make it difficult for players to decide which weapon to go for. 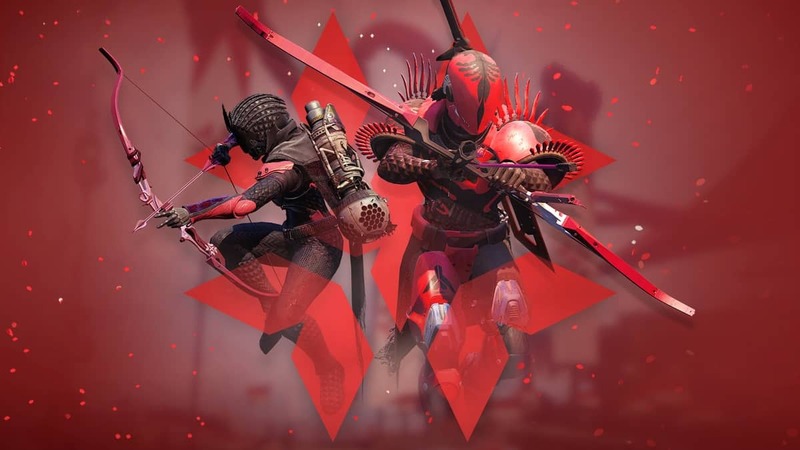 That is where our Destiny 2 Forsaken Legendary and Exotic Weapons Guide comes in to help you with these unique weapons. Legendary Weapons are unique but not as Exotic Weapons. These weapons have improved stats and perks that allow players to deal damage in the way they want. In our Destiny 2 Forsaken Legendary and Exotic Weapons Guide, we will list down all of the Legendary Weapon introduced in the new expansion and where to find them. 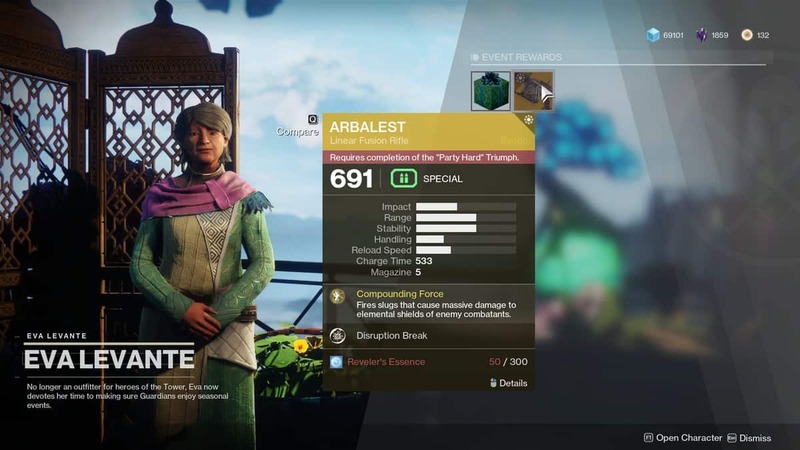 Given that Destiny 2 is an RNG game these Legendary Weapons drop randomly from Legendary Engrams that you can collect by completing missions, side activities like Public Events, Strikes, and more. One Thousand Voices is a Trace Rifle that fires a lethal beam of solar energy that deals a lot of damage whether it is a regular enemy or a boss. No Turning Back is a bow that fires an arrow that explodes after a short delay. You can acquire this legendary weapon from Petra Venj but only after you have unlocked the Reef hub. Chromatic Fire is a fusion rifle that deals elemental energy damage with an explosion. However, for the explosion to trigger you need to score a precision hit. The Last Dance is a sidearm and not an ordinary sidearm but the deadliest sidearm in Destiny 2 following the release of Destiny 2 Forsaken expansion. 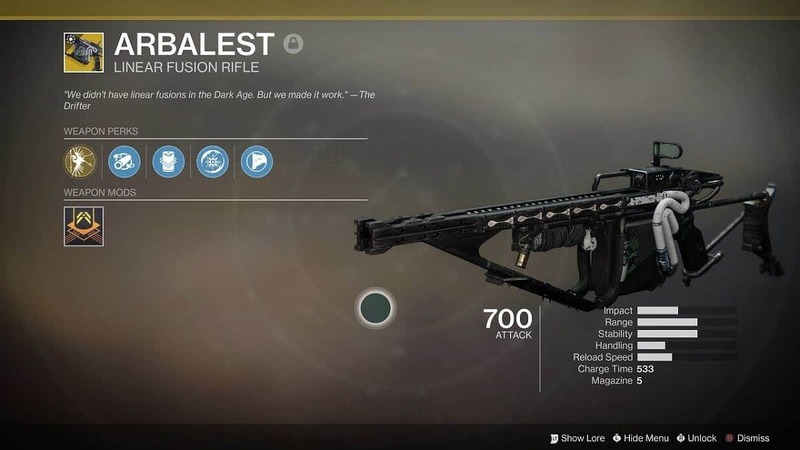 Exotic Weapons in Destiny 2 are the rarest weapons and Destiny 2 Forsaken expansion brings improved Exotic Weapons. In our Destiny 2 Forsaken Legendary and Exotic Weapons Guide, we will list down all of the Exotic Weapon included in Forsaken expansion and where to find them. Like the Legendary Weapons, Exotic Weapons can be found by deciphering Exotic Engrams of if XUR brings it with him so that you can buy them. Cerberus+1 is an auto rifle which you can get from an Exotic Engram or if XUR brings it with him. Spread Shot Package: Bullet Spread is reduced while aiming down sights. Malfeasance is an exotic hand cannon that can be acquired through exotic engram or as a reward for a mission if you are lucky. This hand cannon has a better rate of fire, reload speed, recoil detection and damage. Explosive Shadow: Shoot tainted slugs into enemies and stack enough of them to explode enemies. Corkscrew Rifling: Increase in weapon stability, range, and handling. Extended Mag: Increased magazine size but reload speed is reduced. Taken Predator: Taken and Gambit take extra damage. Heavy Grip: Decreases handling but increases weapon stability. Trinity Ghoul is a new weapon added with the Destiny 2 Forsaken expansion. This weapon is actually a Bow which unleashes an electrical storm when the player lands a critical hit. This weapon is quite useful in boss battles. Split Electron: Arrows fired split upon release. Spread is decreased when the bow is fully drawn and aiming down sights. High Tension String: Increased accuracy, increased draw time and decreased stability. Lightning Rod: Chain lightning following a string of precision kills. Wavesplitter is a Trace Rifle that deals Laser damage and the longer the trigger is held the more the attack power. 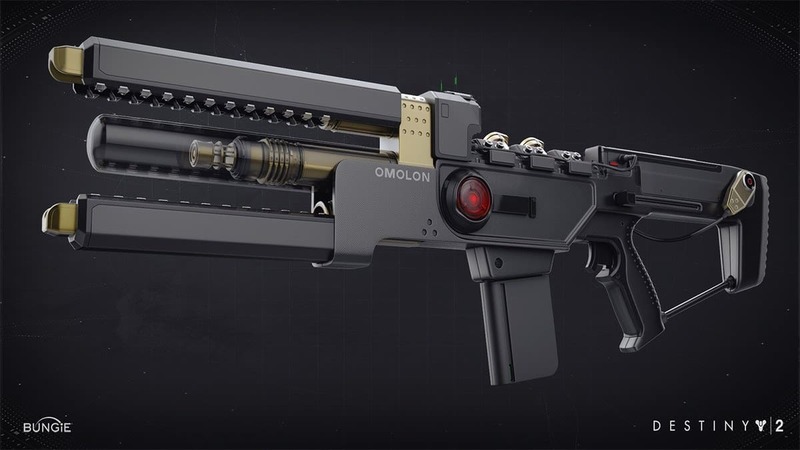 Harmonic Laser: Laser damage increases as long the trigger is held. The damage has three levels. Enhanced Battery: Increased magazine size. Supercharged Battery: Max power is granted when an Orb of Light is collected. Max power starts with an auto reload. Fitted Stock: Increased stability, moderate decrease in recoil and slightly decreased handling speed. Two-Tailed Fox is a Rocket Launcher that fires two rocket simultaneously which results in a larger damage radius and more damage. Twintails: Shoots void and solar rockets that track a single target. Confirmed Launch: Increased blast radius and stability but decreases projectile speed. High-Velocity Rounds: Increased reload speed and projectile speed. Play with Your Prey: Solar rockets deal damage over time while Void rocker suppresses the enemy. Composite Stock: Increased handling and stability. Black Talon is a sword which is obviously a melee weapon that deals hefty damage at close range. This sword is also capable of shooting arc energy at enemies dealing massive damage. Crow’s Wings: A cross combo with a projectile. Tempered Edge: Increased ammo capacity and damage. Heavy Guard: Increased defense and efficiency. Tireless Blade: Powered kills give sword ammo. Ace of Spades is hand cannon whose damage multiplies after every kill. 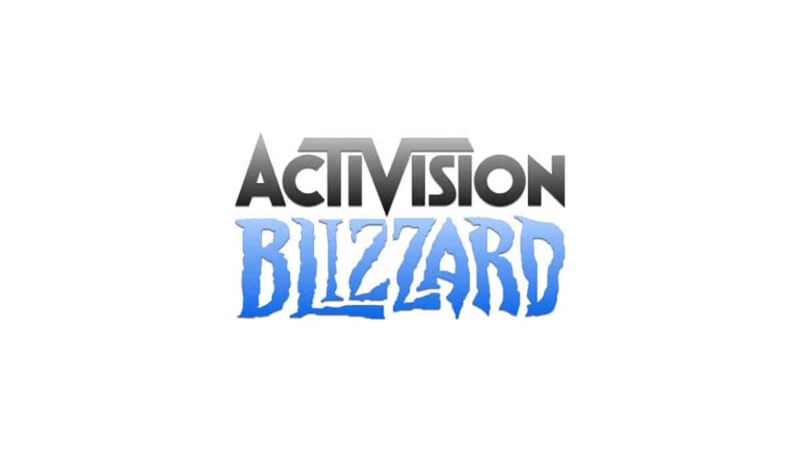 Third Eye – The Radar will stay active while you aim down sights. Infuse – Consume a less powerful weapon to increase the damage. Kinetic Damage – Deals Kinetic Damage. Firefly – Precision kill causes the enemy to explode. Maverick – A precision kill will move one round from your reserve into the magazine.